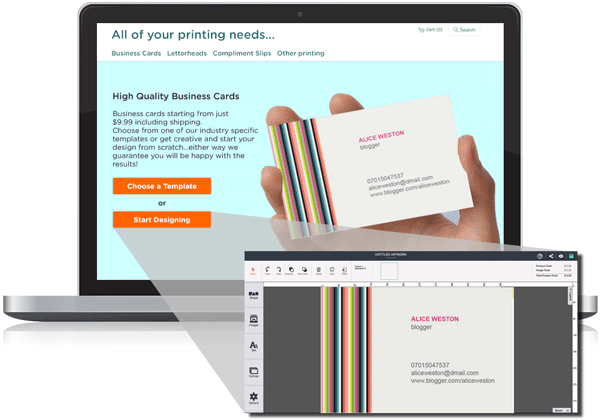 Enterprise provides a comprehensive suite of individual design functions that are available for you to embed within your website to allow customization of templates directly on product pages, thus providing a white-label custom design experience for your users. -Users customize your products in line with their usual shopping experience. -100’s of customization options including; Upload Image, Text, Shapes, Cliparts, Stock Images, Colors, Borders, Opacity, Zoom plus many more. Simply display as many or as few as your customers need. -Create a seamless look and feel; buttons are fully customizable so that you can match the theme of your existing website. -Visuals of artwork created made available to your website to allow you to display your customers creation throughout the rest of their order process and even let them save it for later. Available at just $99 per month. 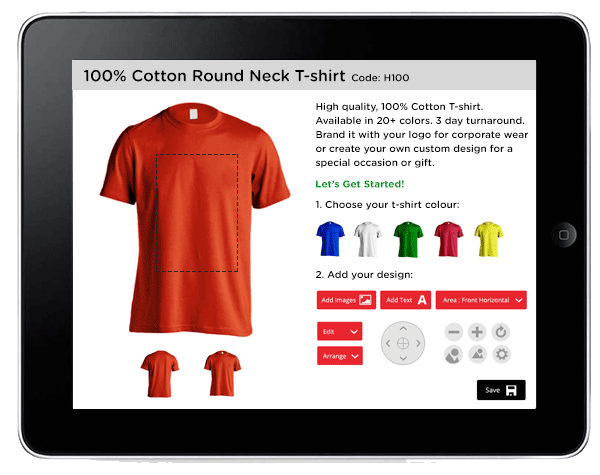 Business provides an easy to implement button that launches a pop up online designer, that can be pre-loaded with your product template. Once the user customizes the design, they are returned to a destination of your choice to complete their order. -Users benefit from optimal design space as they launch a pre-configured, full screen designer that’s tablet friendly! -A comprehensive suite of design tools are presented to provide extensive customization capabilities for both inexperienced, and experienced designers. -Customization control of the button that launches the Artworktool designer. -Easy to implement by adding just a few snippets of code to your page! Available at just $49 per month.